My aunty & uncle took me and my brother to see this in 1990. We met Frank Bruno afterwards and this, I think, is his autograph. 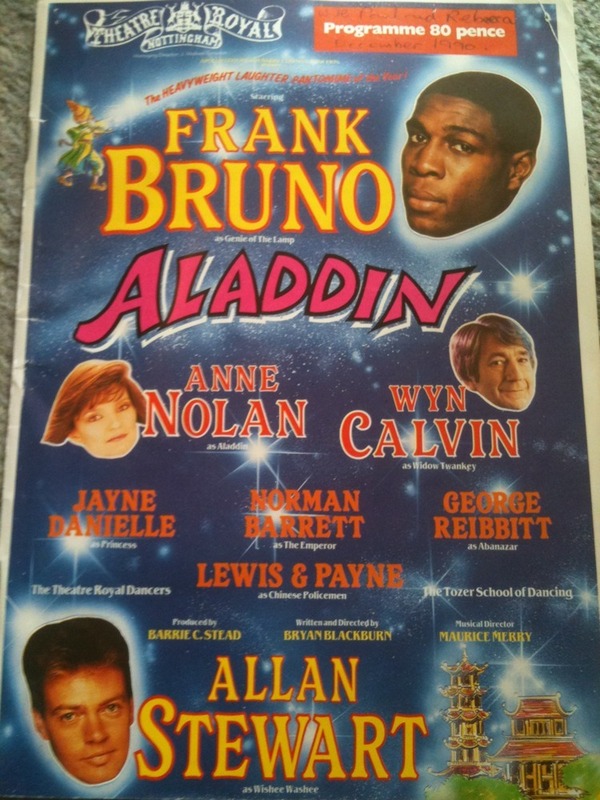 It was a great panto and we were quite starstruck meeting Frank, all I can remember is that he was really tall. 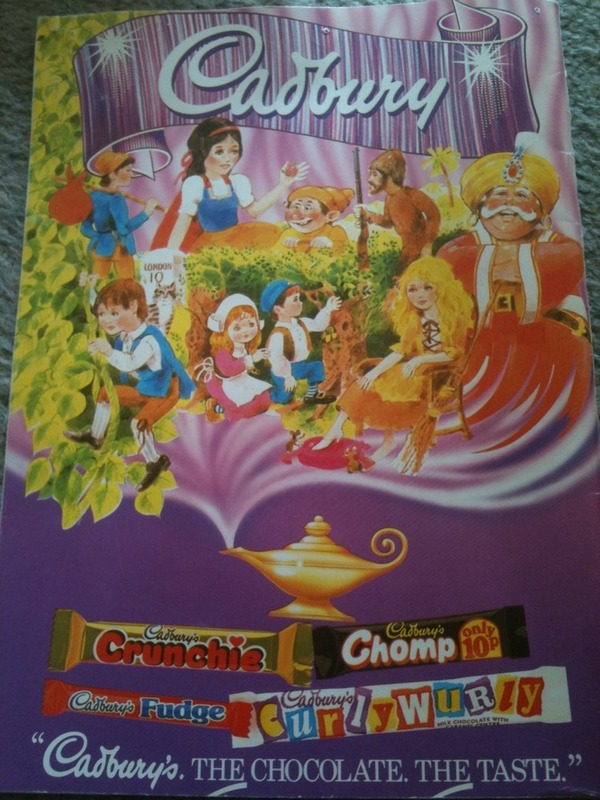 Love the Cadbury’s advert on the back! WOW – a whopping 80p!! !